Durable and sturdy. Heavy canvas and strong stitched construction. 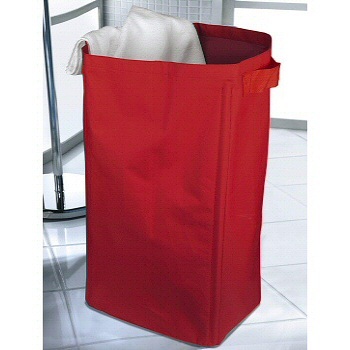 Our laundry hamper is designed and produced by well-known German brand Kleine Wolke, established in 1968, and is backed by their quality guarantee. This canvas hamper measures 25.6in high by 13.8in wide and 13.8in deep. Available in beautiful ruby red.